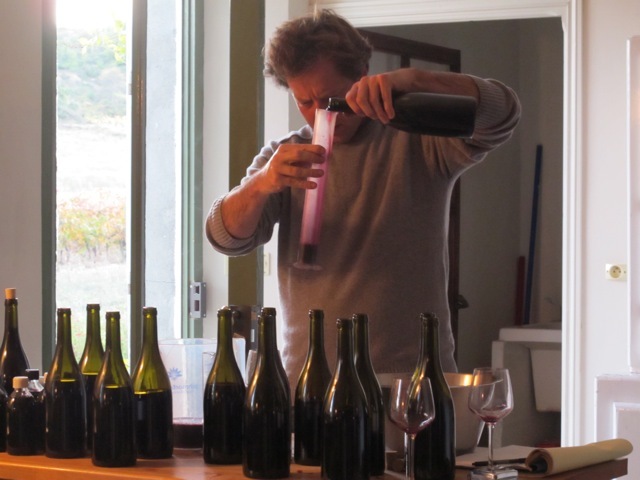 Benjamin’s been making wine for over 15 years – in France, the US, South Africa, Australia and now France again. I’ve tagged along for most of these stops and it’s been a brilliant experience – packed full of challenges and ‘cest la vie’ moments, but worth every minute! I have to say that I love all the wines that he has made/ and is making now… reds, whites, roses, and I love drinking them with our friends. He’s making wine under a few labels, Chateau Maris, Combebelle, Benjamin Darnault for Naked Wines. These are the wines we tend to drink but it’s great to try others, so these pages will include Benji’s wines plus many others from all over the place. Still haven’t managed to convince him of the merits of making bubbly though. We buy and drink lots of Benjamin Darnault wine from Naked wine, it’s some of the best we have ever found! Now I will try that Pork in Milk recipe and drink it with one of your wines! Thank you both. It’s a pleasure! I’m glad you’re enjoying the BD bottles!